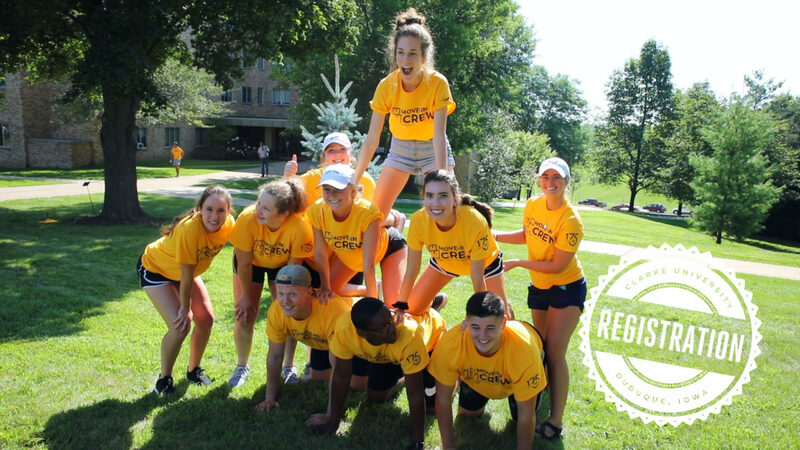 At CU Registration, you will register for classes, meet with faculty, talk to financial aid staff, log into your Clarke email, check out the residence halls and so much more. Your parents are invited since they will be joining the Clarke family, too. We host separate parent sessions during CU Registration. Parents will learn about your transition to college, financial aid information, the class advising process and more. In addition, parents can help complete required paperwork. Siblings are welcome to come but specific programming for siblings is not provided. Confirm your CU Registration today! If you haven’t already submitted your $200 enrollment deposit, you must do so to sign up and attend CU Registration.